The active ingredient in Advantage Flea Control is called "imidacloprid." It works by killing adult fleas before they lay eggs. It also kills flea larvae within 20 minutes of contact. This breaks the flea life cycle and gets rid of fleas on your cat. This product is a topical solution that you put on your kitty. Just a few drops on his or her neck will move throughout your cat's coat and provide whole-body flea protection (be sure to get it on the skin and not just your kitty's fur). This is an excellent method of flea control when you need to get rid of fleas on your cat as soon as possible due to flea allergies. On the rare occasion my indoor cats have had over the years, this is the treatment I've used for them. Imidacloprid is water-resistant. It continues to work even after you bathe your cat or she gets wet in the rain. It also continues to work after exposure to sunlight. The best medicine gets rid of fleas in all of their life stages. Advantage Flea Control does this. Unlike other insecticides, this one is effective enough to be the only flea control product you'll need. An insect growth regulator is not necessary when using imidacloprid. 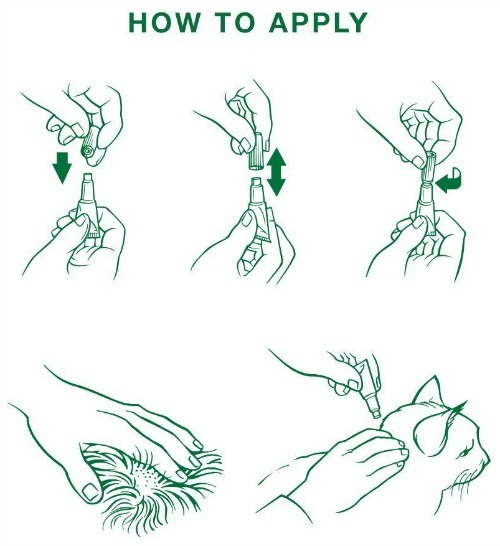 Advantage Flea Control stops fleas from biting your cat in 3 to 5 minutes after application. The fleas will start dying within one hour of application and 98 to 100% of the fleas on your cat will be dead in 12 hours. Reinfesting fleas will be dead within 2 hours. This product is particularly useful if your cat or kitten is allergic to fleas and needs quick relief. One treatment of Advantage will protect your feline companion from fleas for up to 4 weeks. These are the steps you need to take to properly apply this topical solution. The directions come directly from the manufacturer's instructions. It comes in two dosage sizes. You'll have to weigh your cat to get the right dosage. The two choices are for cats nine pounds (4 kg) and under and for cats over nine pounds. Be sure to use only Advantage for Cats, and not the medication for dogs. Do not use this medicine on any other animals as it's not formulated for other animals. 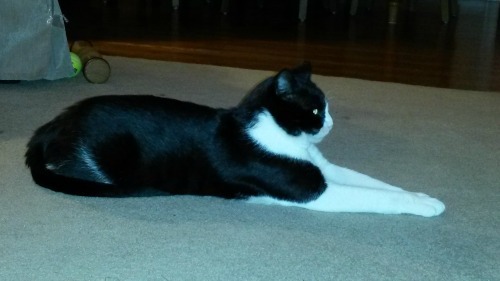 Advantage Flea Medicine has a lower toxicity than traditionally used flea control products, such as those containing carbamates or organophosphates. Advantage Flea Control is safe for kittens as young as 8 weeks old. It can also be safely used on pregnant and lactating cats. In fact, if your cat is still nursing, the kittens will be protected from fleas when the lactating mother cat is treated. Advantage Flea Control is available without a veterinarian's prescription. You can still get it from your veterinarian's office (where it's usually a lot more expensive) or you can buy it online at a discount and save a lot of money. Many larger pet supplies stores also carry flea control medicines that previously required a prescription, such as Advantage and Program Flea Control. All About Flea Control is an article with information about conventional and alternative flea control methods. Amazon is a great place to by Advantage II Flea Control at steeply discounted prices. Plus, you can usually get free shipping for your pet medications as they often go over their minimum cost for free shipping. Be sure to get the right dosage based on your cat's weight. Only Natural Pet Store is the best online pet store for natural flea control products and remedies. If you decide to go natural, this is the place to go.